Edgbaston Stadium is increasing its capacity ahead of a bumper year of international cricket in 2019, when the venue will host an Ashes test as well as matches during the ICC Cricket World Cup. The decision to add 840 seats was made after pre-sales for the Ashes Test came in at 35 per cent higher than those for the previous Ashes Test played at Edgbaston in 2015. The Birmingham venue is now working with Arena Seating to install a temporary stand for use across all days of the Ashes Test, as well as the five ICC World Cup Games to be played at the stadium. The extra capacity will also be in place for the domestic cricket season's T20 Finals Day. Edgbaston is the largest cricket venue outside of London and the extra seating will push its total capacity to 25,400. “Next year (2019) is going to be a very exciting year of cricket, so it’s good forward planning by the ground to make sure it can meet the fans' demand for the World Cup – and of course The Ashes test," said Dave Withey, MD of Arena Seating. 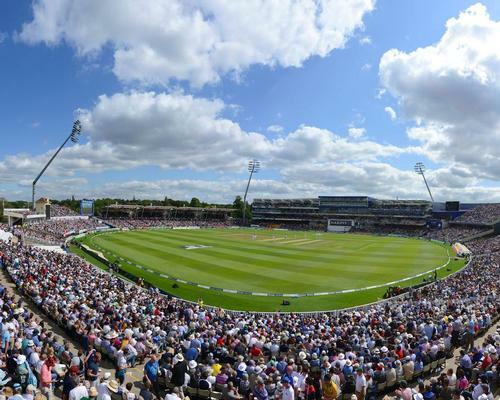 Gareth Roberts, commercial director at Edgbaston Stadium, added: “There’s never been a bigger programme of cricket in Birmingham than what’s in store for 2019, with the Ashes, ICC Cricket World Cup and T20 Finals Day all coming to Edgbaston.